So recently me and my neighbours organized a BBQ party together! I’ve been living in this small humble neighbourhood in my entire life and this is the first time we threw a party together. Kind of special because we do say ‘hi, good morning’ or a gentle wave to each other but never really have a conversation before. This BBQ party is an American styled BBQ, where everyone in the neighbourhood is bringing their own food to create a lovely sharing feast! My food share is quite a no brainer: a dessert! 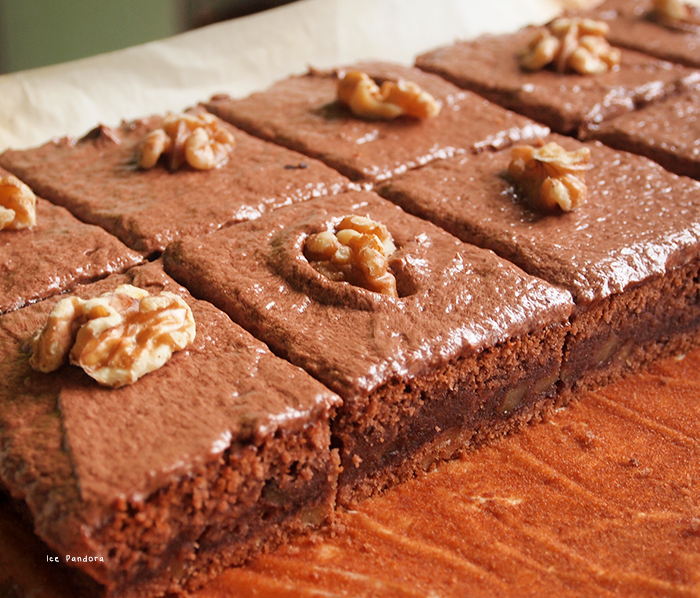 And I’ve made ‘walnut brownies’! Because who doesn't like chocolate? But because I wasn’t so sure about the possible nut allergy, I’ve also made a batch of forest cake bar, which the recipe is here! I was quite anxious making the brownies for the neighbourhood. Will they like it? Or will I be labelled as ‘the girl with the icky brownies’. I feel more at ease when baking for friends and family, but for the unknown neighbours? That’s a whole different story. But they loved it! So much, that I didn't got the chance myself to taste them because it was all gone! Do you guys have neighbourhood parties? Kort geleden hadden ik en mijn buren een Burendag. En dat deden we met klasse door een BBQ feestje te organiseren! Ik woon in dit kleine nederige buurt al heel mijn leven en dit is toch onze eerste keer dat we samen iets organiseren. Heel bijzonder! We zeggen wel 'hallo, goedemorgen' of een vriendelijk zwaai, maar nooit kwam er een gesprek aan te pas. Deze BBQ party is een Amerikaanse stijl BBQ. Dus dat betekent dat iedereen in de buurt eigen eten meenemen. Mijn aandeel was al gauw doordacht: het dessert! En ik heb 'walnoten brownies' gemaakt! Want wie houdt er niet van chocolade? Maar omdat ik niet zo zeker was over de mogelijke notenallergie, heb ik ook een ander soort cake gebakken, namelijk: bosvruchten koekrepen, waarvan het recept hier is! Ik moet toegeven, het was eng om deze brownies voor de buren te maken. Zullen ze in de smaak vallen? 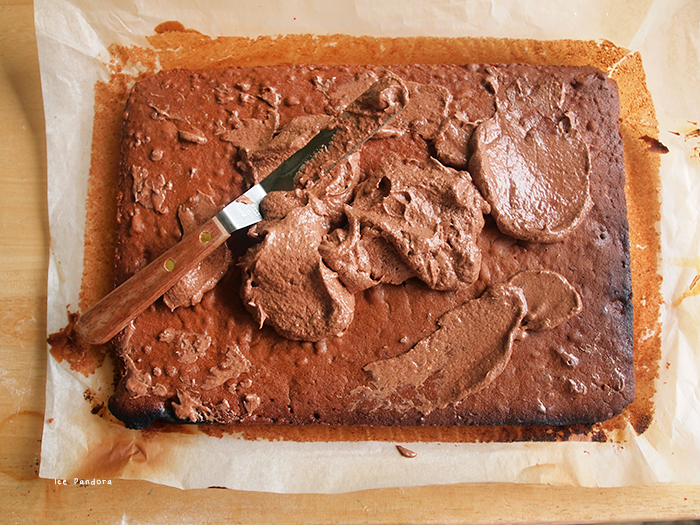 Of zal ik voortaan bestempeld worden als 'het meisje met de gore brownies van de buurt’? Ik voel me meer op mijn gemak als ik voor vrienden en familie moet maken, maar voor de hele onbekende buurt? Dat is een heel andere koek. Maar ze vonden het lekker! Zo lekker zelfs dat ik niet de kans kreeg om het zelf te proeven, want het was allemaal weg! 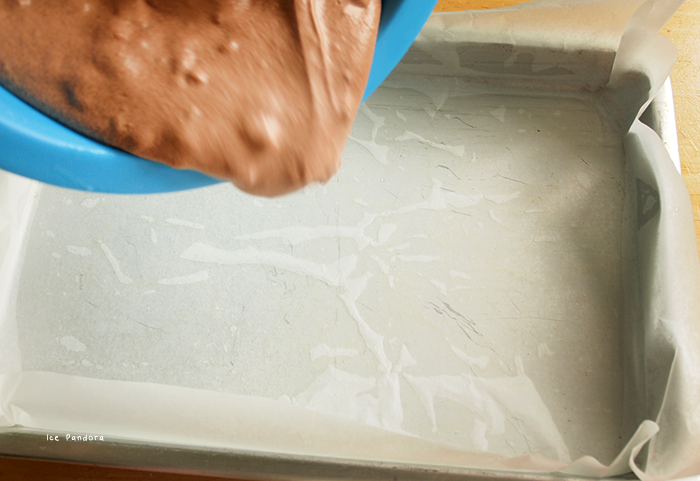 Pre-heat oven to 180° C and line a square baking tin with baking paper. Add the 5 tbsp. cacao in the 350 ml boiled water and let it dissolve. 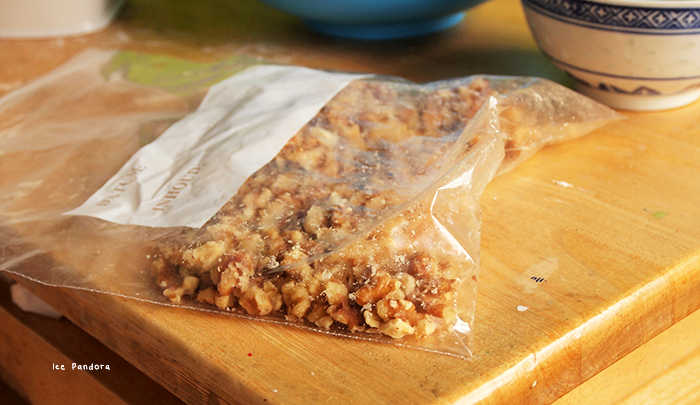 Meanwhile, put the walnuts in a sandwich bag and crush them a pan/pin roller! 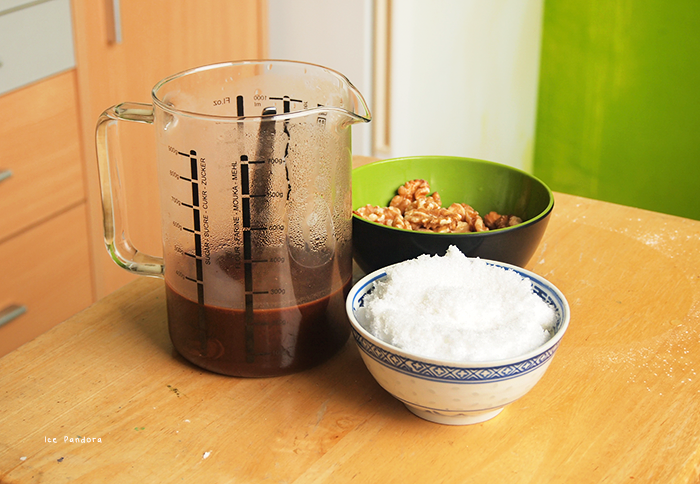 In the mix bowl goes: the dissolved cacao powder, flour, baking powder and pinch of salt, butter, sugar and eggs and we handmix it for about 2 minutes until you have a nice gooey, combined mixture! 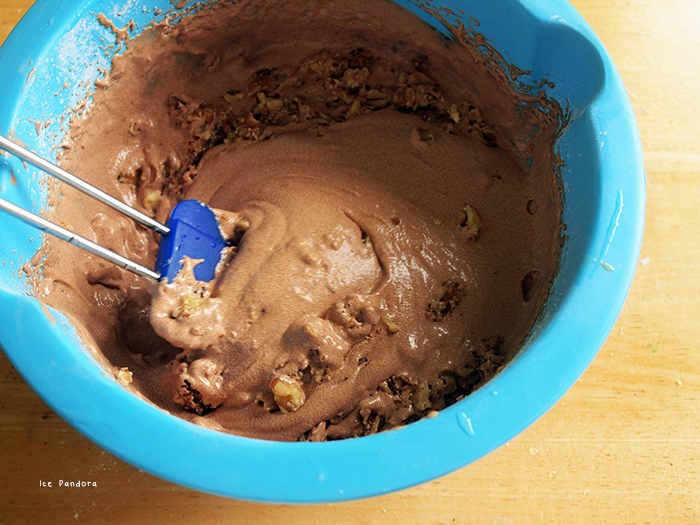 Fold in the crushed walnuts in this flour mixture. 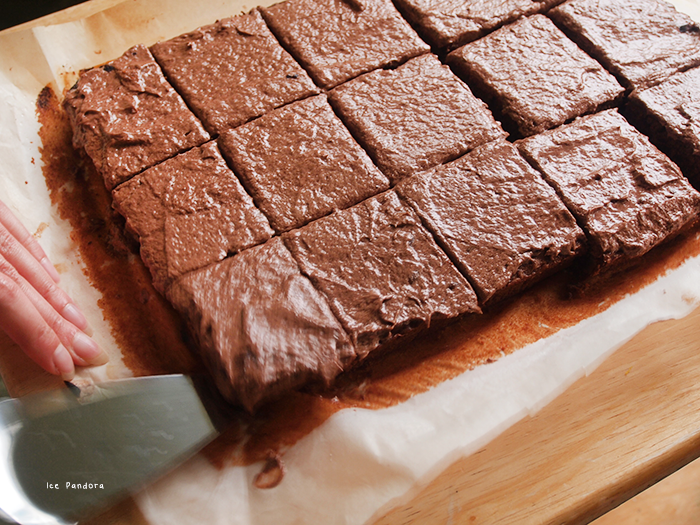 Bake the brownies for 1 hour and 10 minutes in the oven and after that, let it completely cool down in the tin. 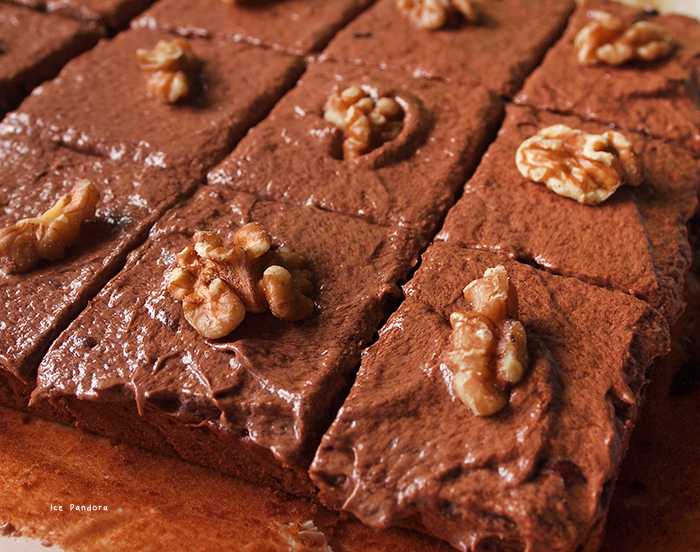 Spread the topping on the top of the brownies and garnish it with walnuts! Oh my god, this is looking so delicious ! Looks delicious, and sounds like a fun way to get to know your neighbors! ZIet er goed uit! Als het allemaal al op was, dan had je het goed gedaan! Ohh yum, glad everyone liked them. Haha your worry that they wouldn't is so cute! This looks soooo yummy! I personally NEED to learn how to bake salted butterscotch brownies! I like mine super dense and dark brown! 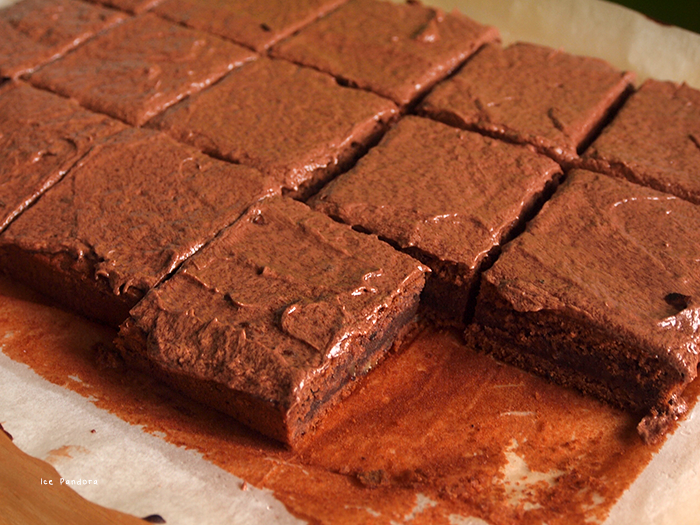 I love making brownies, they're so easy to put together and taste so good! My fav brownie extra is pecans! 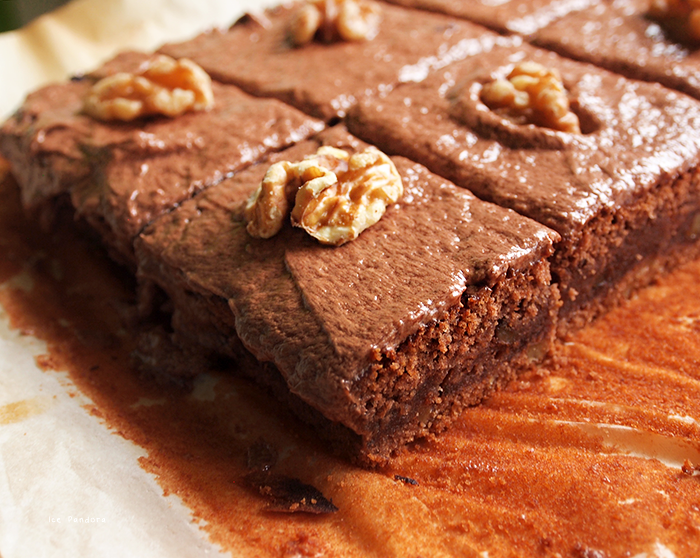 Ik ben dol op brownies, deze zien er ook heerlijk uit! looks so good! bet those walnuts were such a good addition! crunchiness galore!